I’m sharing the following summer activities for kids. I got this from the newsletter sent by National Bookstore. Kids can choose and participate from various arts and crafts workshops for free. 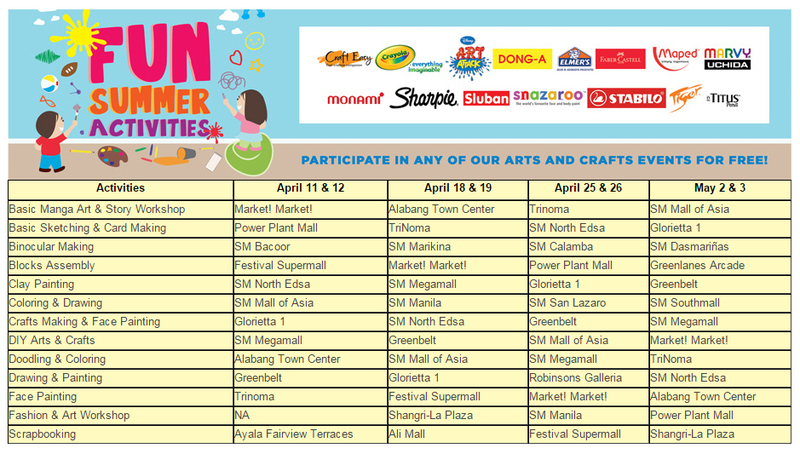 Don’t miss out on these fun and exciting activities, kids!